Rust is a very popular survival PvP game, in which you not only have to worry about starving, freezing or dehydration, but dealing with much more dangerous predators – other players. Building shelters and harvesting resources can only get you so far, as you need to also form alliances in order to ensure your survival, especially when others might be having more “aces” down their sleeves. That being said, Rust and EAC takes cheating very seriously, and even have a Twitter account on which they share every Rust account ban they issue. Since Rust is protected by Easy Anti-Cheat (known as Rust EAC ban), that’s where players are meant to be sending their Rust account unban appeals, and in this article, we’ll tell you how to do just that. 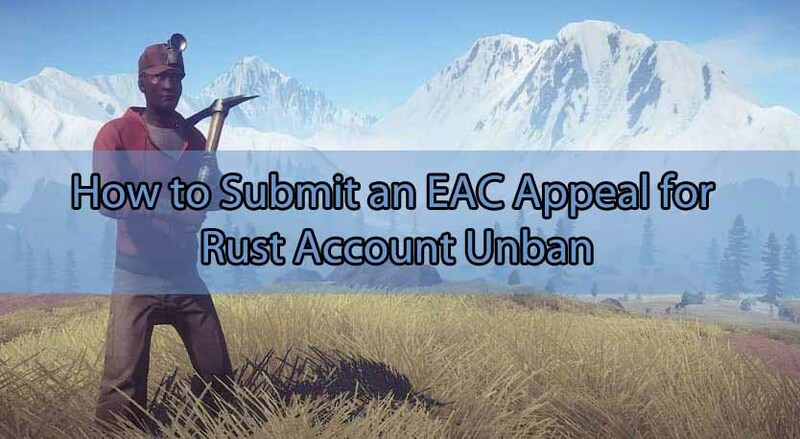 As for the “Provide other information” field for your Rust EAC ban, that’s where we come in handy, should you require our professional and customized Rust unban service designed to get your Rust account unbanned. 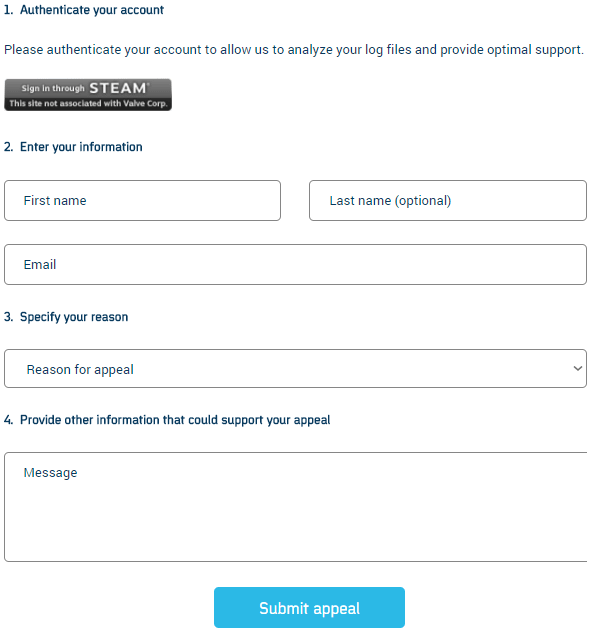 Once you’ve completed the form for your Rust account unban appeal, press the “Submit appeal” button under the form, and your ticket will be sent to their Support! Now that everything is done, wait until they review your Rust account ban appeal and get back to you with their reply via mail. Also, make sure to check the Spam folder as well! Good luck! Need help with a Rust account ban? We're here to give you the best help in order to get your Rust account unbanned!